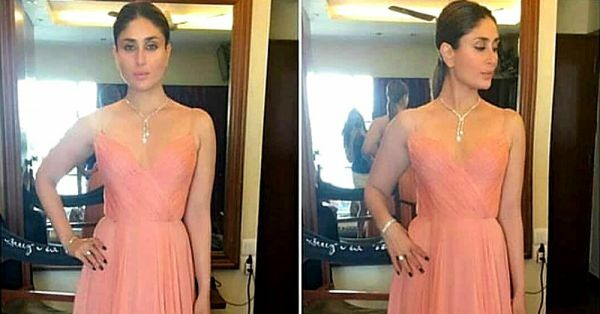 Bebo Is Looking Like Barbie In This Pink Gown & Now We Want One Too! Looks like Kareena Kapoor's outfits are being sourced from a secret corner of the beautiful world called Candyland because, OMG, she has been looking more and more yummy. After giving us a mango-licious weekend, Kareena Kapoor has made our week with this baby pink gown looking like a strawberry flavoured toffee. We're not sure whether to call her a Barbie doll or a Disney Princess come to life. 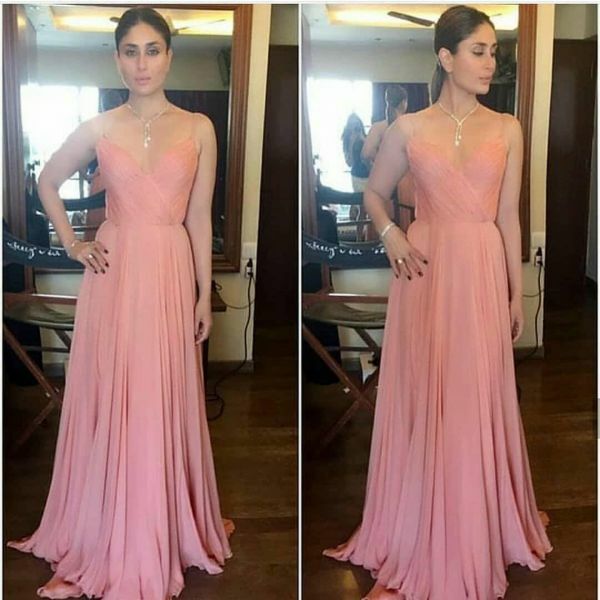 In a gorgeous pink empire line gown with thin straps so fancy that it looks like a pink waterfall, Bebo never ceases to impress us. We like how she has accessorised with a bracelet, a ring and an elegant necklace that perfectly complements the sweetheart neckline of the gown. You want one too, right? Here are five of our favourite pink dresses that will give you Barbie doll feels just like Kareena. 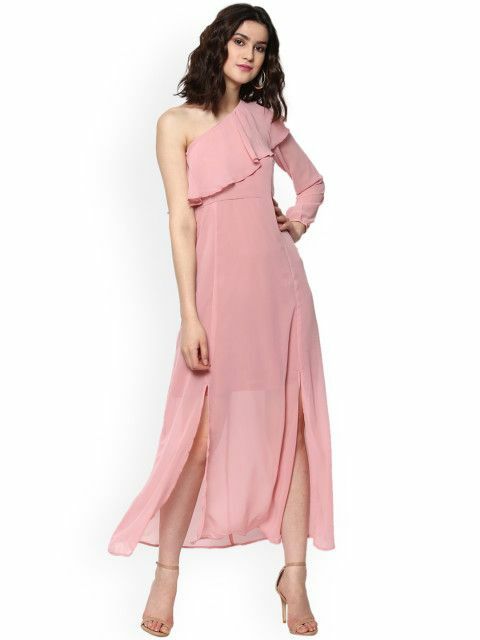 POPxo Recommends: Pink Solid Maxi Dress (Rs 944) by Rare is available at 55% off. POPxo Recommends: Exaggerate Bow Mesh Overlay Strapless Dress (Rs 690) by Shein is available at 50% off. POPxo Recommends: Ruffle Halter Neck Dress (Rs 1,299) by Koovs. 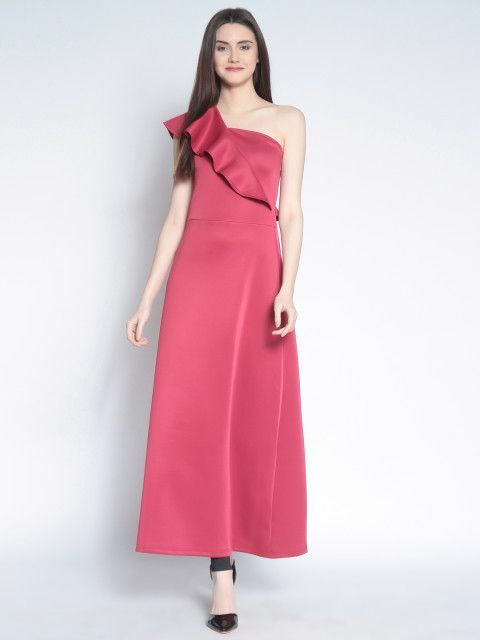 POPxo Recommends: Pink Solid One Shoulder Maxi Dress (Rs 734) by Sassafras is available at flat 65% off. 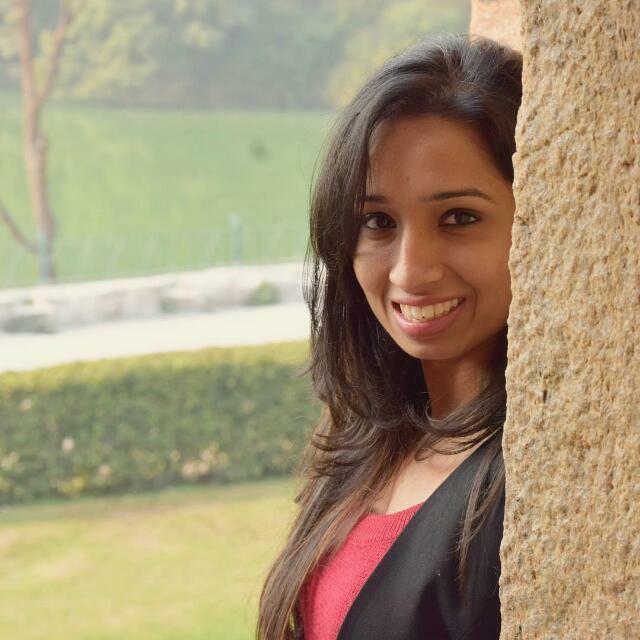 POPxo Recommends: Pink Fit & Flare Dress (Rs 1,048) by ONLY is available at flat 65% off.